Hope you are having a great day! How is the transition of seasons happening at your place? Perth is getting warmer finally. I am going into spring with cooler mornings and evenings. So happy to see some sunshine. I know for many of you living in the northern hemisphere are in Autumn. I live down under. We have had a unusual long cold winter. It is so exciting to have a gorgeous spring day. 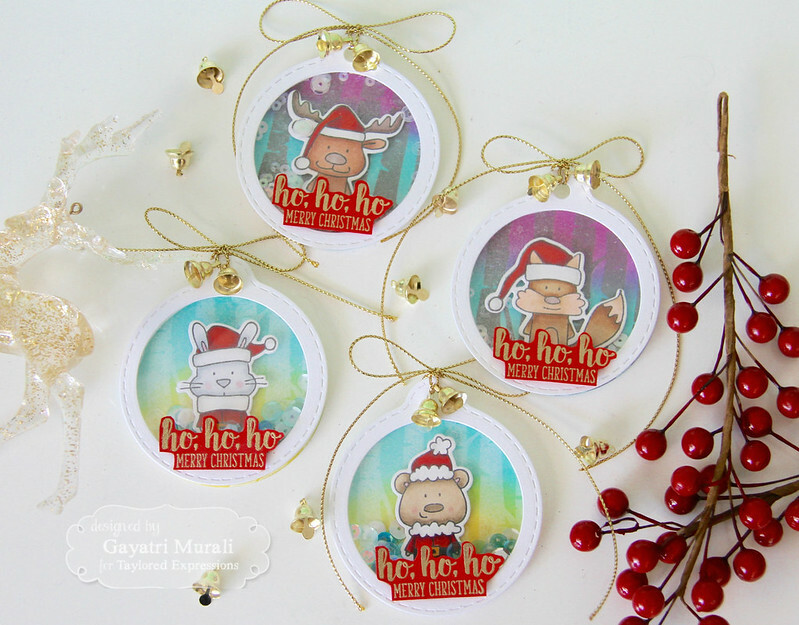 Anyway, I have been busy yesterday and made a set of shaker Christmas tags using Taylored Expressions stamp set and dies. I have used Tag Stacklet 3 and Stitched Circle Stacklet dies to create my shaker frame and backing for the shaker tags. I used the second largest Tag Stacklet 3 and fourth stitched circle die from Stitched Circle Stacklet placed in the middle to die cut four white tag frames. I adhered circle acetate sheet behind the frames. 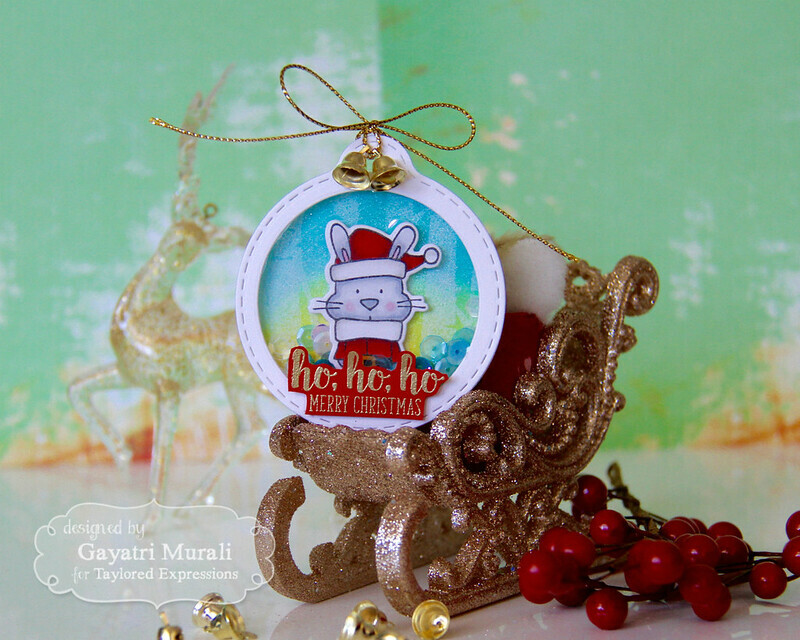 For the background, I die cut four stitched white circle from third stitched circle die. I sponged TE dye inks on the background. On two of the circles, I sponged Lemon Meringue, Cookie Monster. The other two are sponged with Plum Punch and Cookie Monster. I stamped two of them with Birch Tree background stamp using Sugar Cube ink and the other two with Earl Grey dye ink. 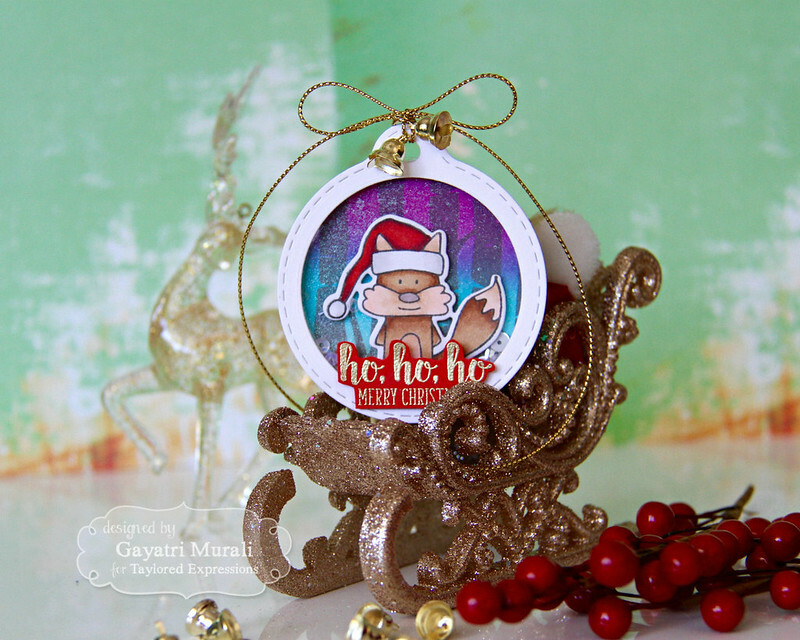 The focal point images are from Santa’s Helper stamp set which are stamped using Oreo hybrid ink, copic coloured and die cut using the coordinating dies. I adhered them on the base circle with foam adhesives. How cute are they with their santa hats? I put the shaker tag together with couple of them with Snow Flurries sequins and the other two with Build a Scene sequins. 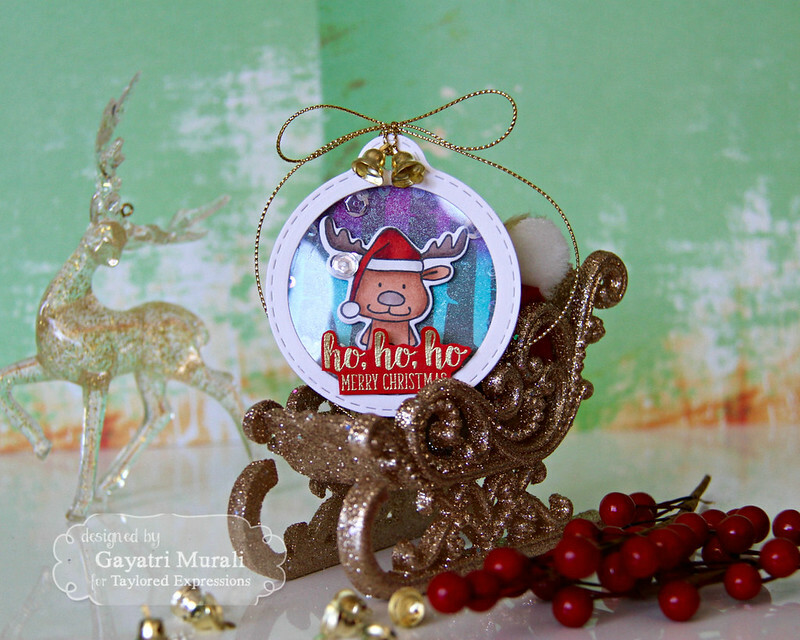 I gold heat embossed the sentiment from the same stamp set on Cherry Pop card stock. I hand cut them out and adhered on the shaker tags. 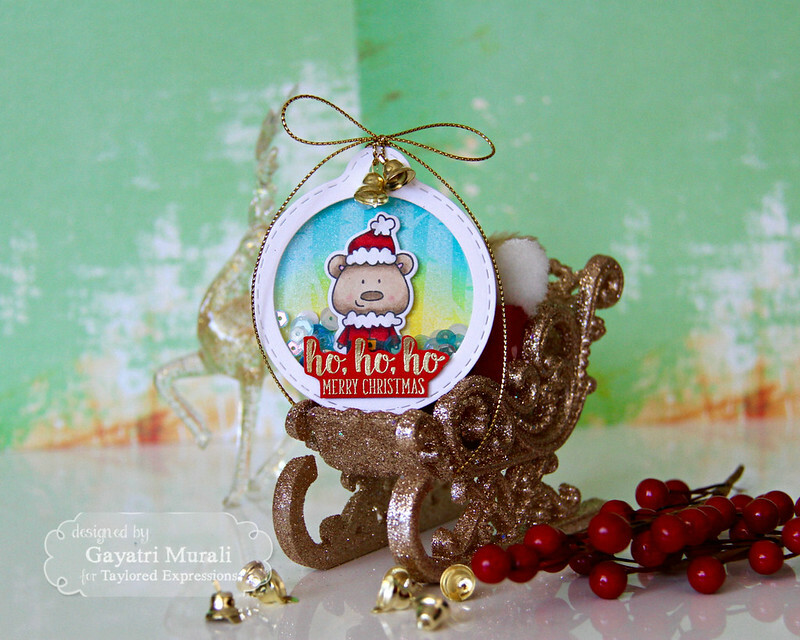 Finally I added couple of bells for each tag and tie the gold twine into a bow. Here the individual tag photos. Hope you like my shaker tags. All the supplies I used to make my tags are listed below. Your tags are just darling, and I especially like the backgrounds. Thank you for sharing your talents. There are amazing!! Love the backgrounds!